I guess Mother Nature took the Autumnal Equinox seriously this year, because boy does it feel like Fall today! 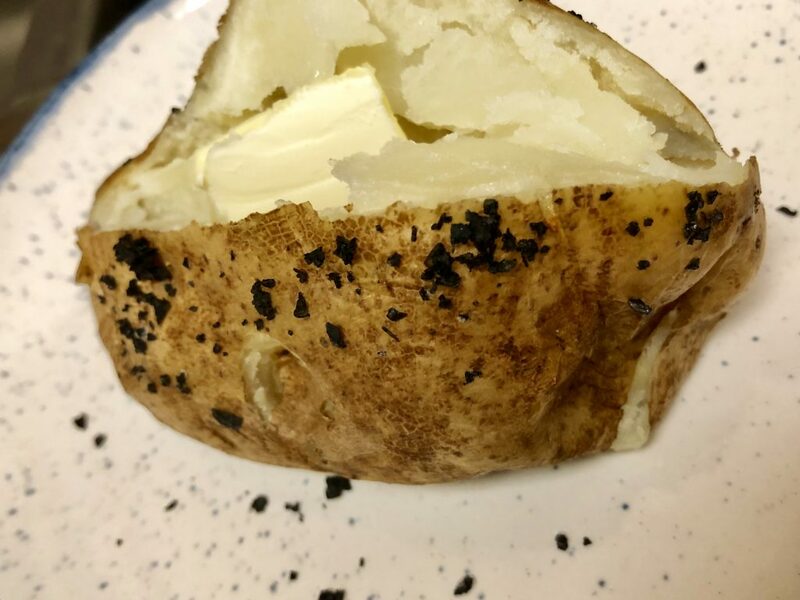 Rainy, chilly weather seemed like the right time to share How to Make the Perfect Baked Potato 🙂 Baked Potatoes are one of those things where I feel silly looking for a recipe, and yet when I don’t, they don’t turn out right. So, here we go! Preheat the oven to 425 degrees. Line a baking sheet with aluminum foil and set aside. 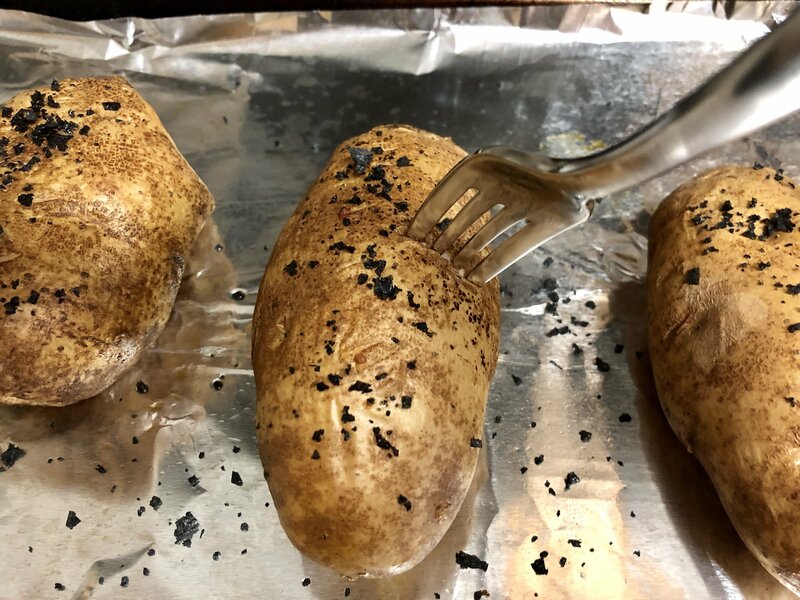 Wash and dry the potatoes, and pierce all over with a fork or knife. 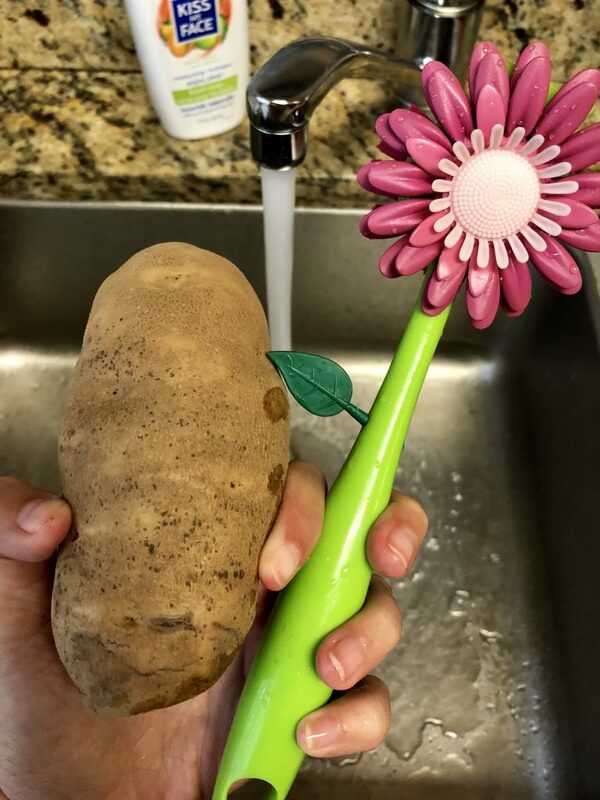 Yes, that is my potato scrubbing brush. Don’t judge me! Brush the potatoes with oil and generously sprinkle with salt. 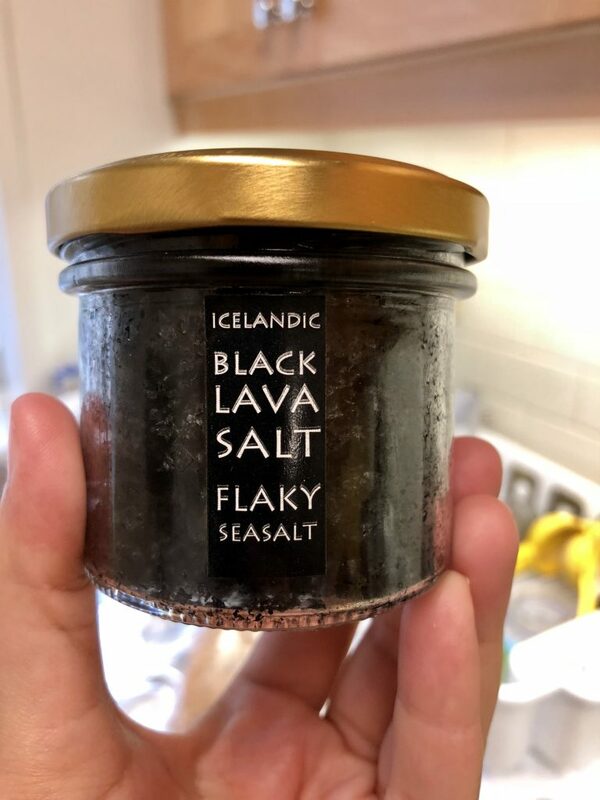 I love using this black lava salt, but any flaky salt will do the trick! The serving options are endless! Serve as is, with a bowl of chili, a simple pat of butter, broccoli and cheddar, sour cream and chives, or I even like to do like a deconstructed sloppy joe and skip the bun and use the potato. YUM. 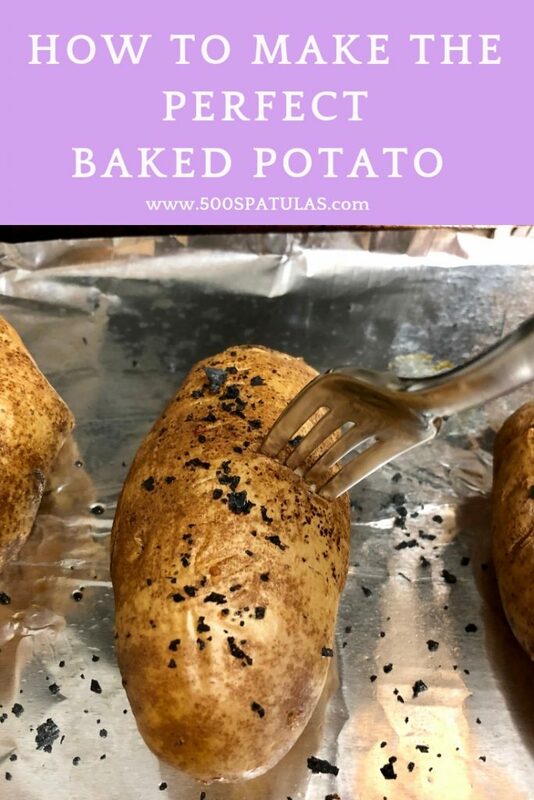 What are your favorite potato fixings?? 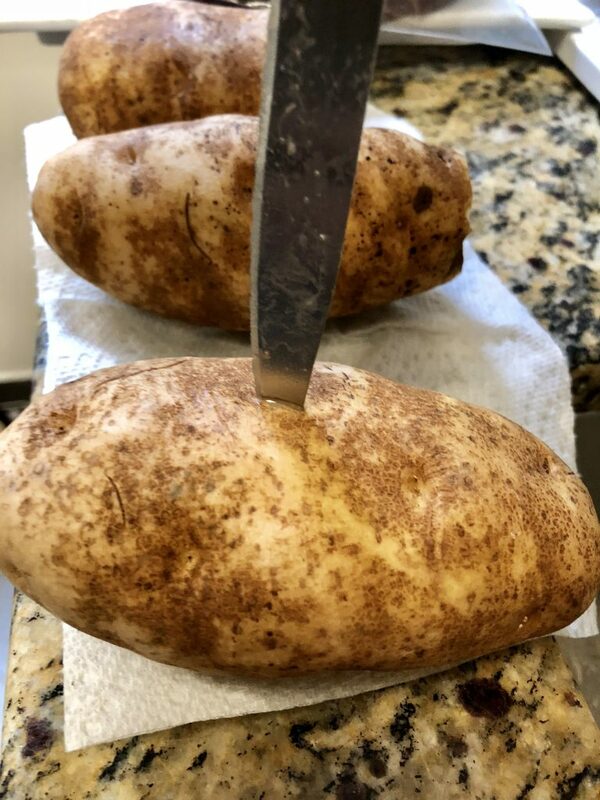 Wash and dry the potatoes, and pierce all over with a fork or knife. 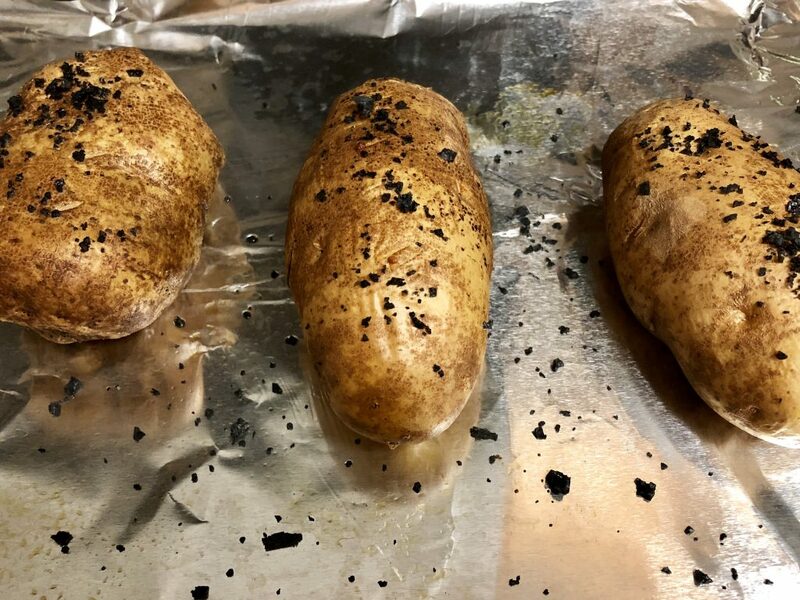 Brush the potatoes with oil and sprinkle with salt. 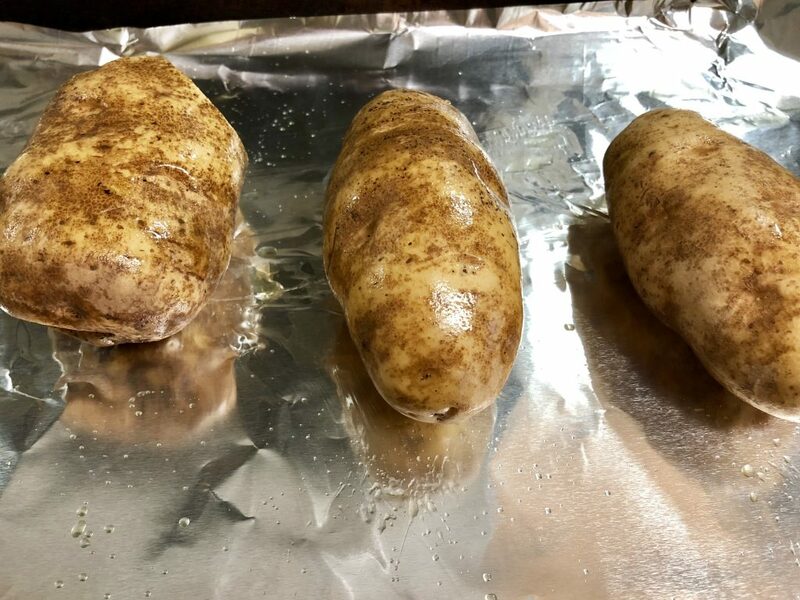 Place the potatoes on the prepared baking sheet and bake for 45 minutes. 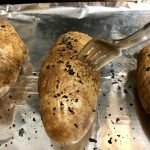 When ready, you should be able to easily stick a fork in each potato. Serving suggestions: As is, with chili, with butter, broccoli and cheddar, sour cream and chives, or even in place of the bun in a sloppy joe.